​Liverpool have released injury updates on Georginio Wijnaldum, Xherdan Shaqiri and Dejan Lovren, as they host European giants Bayern Munich at Anfield on Tuesday night for the first leg of the last 16 Champions League clash. The hectic domestic schedule has seemingly started to take its toll on Klopp's men, as they continue to nurse several players back to full health. After missing out on ​Liverpool's 3-0 win over Bournemouth, Shaqiri has returned to training and will be in contention to feature on Tuesday night, while ​Wijnaldum managed to recover in time to get on the scoresheet against the Cherries and will be available for the Champions League clash. But Klopp was less upbeat over the fitness levels of Lovren, who is facing a race against time to be fit for the Champions League affair. "I don't know 100 per cent. 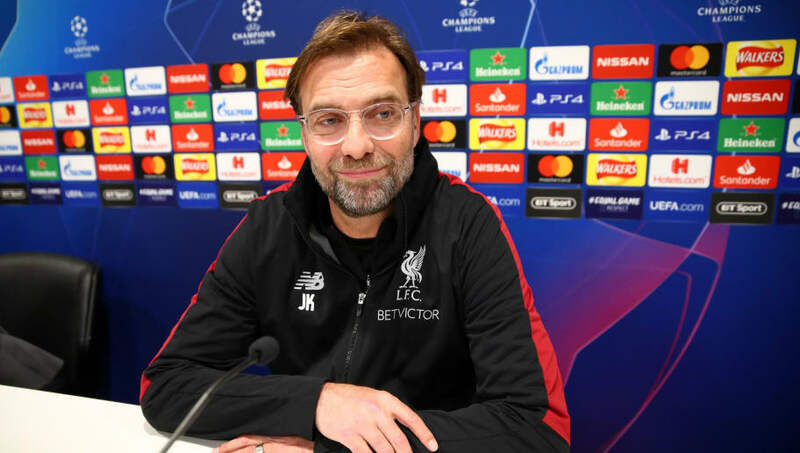 It's Monday and we play on Tuesday so most of that should be clear," Klopp told the club's official website, when asked for an update on the trio's health. "Gini trained and looked really well. Shaq did a lot, so it will be close, we have to see. ​Dejan, I actually have to wait minute by minute if there is a chance or not. But that's pretty much all, I would say." With Joe Gomez set to miss out through injury and defensive partner Virgil van Dijk unavailable through suspension, Klopp's defensive ranks have been left desperately short, meaning ​Fabinho could be drafted into the back line, where he has played on several occasions already this term. The boss on @_fabinhotavares and a look at our defensive options ahead of @FCBayernEN. "If - if - [Fabinho plays there] in the Champions League against ​Bayern Munich it's not an easy job," the German continued. "But we thought it makes sense we don't leave our last row alone defending against Bayern; [so] it all depends how we defend in general. That's it." However, Liverpool's opponents have injury issues of their own to contend with, as Arjen Robben and Corentin Tolisso have both been sidelined for the trip to England, whilst Thomas Muller will also miss out as he serves a two-game suspension.